We are very proud to introduce this incredibly unique Teak Root Chair Ladder Feature. This chair has a very interesting feature, it has the ability to transform into a ladder that makes it perfect for a kitchen. 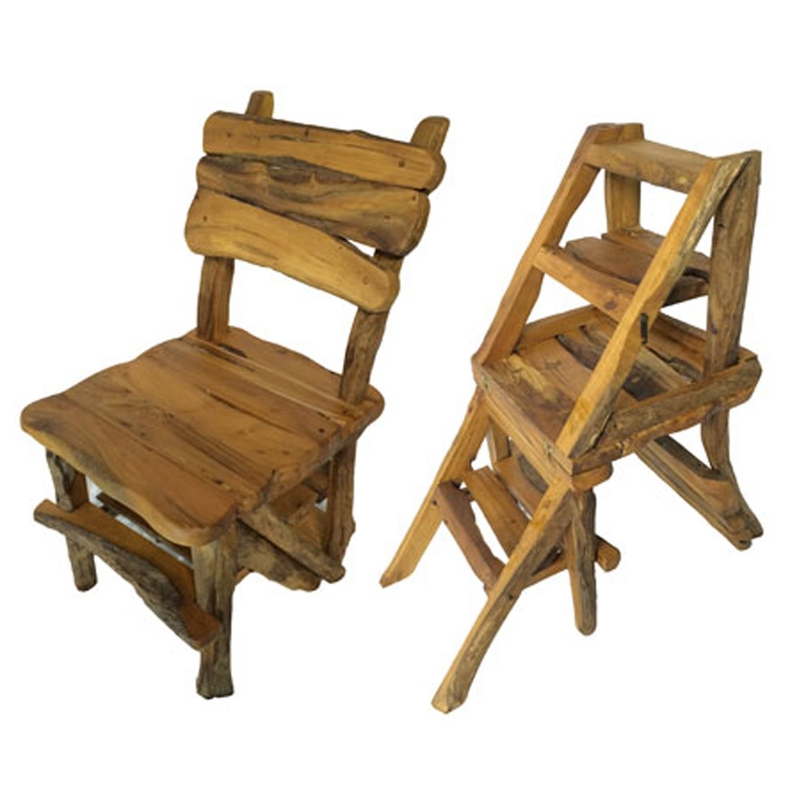 This piece is created from a stunning teak root material and is given a rustic, distressed style.